1000Bulbs.com has added “Login and Pay with Amazon” to their list of checkout options. Customers can now enjoy purchasing all of 1000Bulbs products using the information stored in their Amazon accounts. This additional ecommerce choice is similar to Amazon’s “Buy now with 1-Click ordering” button. The new alternative goes beyond the Amazon marketplace and can replace guest checkouts while allowing customers to track their orders, view purchase history, and access preferred shipping addresses and payment methods. Pay with Amazon is especially helpful with mobile checkout. Customers add the products they want to their shopping cart, type in basic information, and choose “Pay with Amazon” as their payment method. Amazon fills in the customer credit card information automatically, without prompting the user for more information, such as the security code. In addition to creating an easier and effortless online shopping experience, Pay with Amazon includes Amazon’s A-to-Z purchase protection guarantee. The same protection is applied when purchasing products from Amazon.com is now also incorporated into this shopping process. The single login streamlines ordering from 1000Bulbs.com while keeping users’ credit card information secure and retained by Amazon. Pay with Amazon has seen encouraging consumer adoption rates. 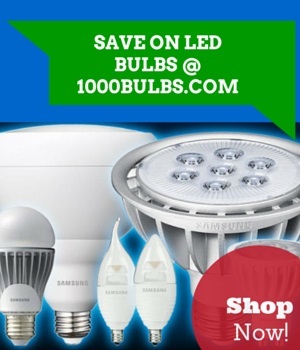 1000Bulbs.com is pleased to be among select retailers to offer this option to its customers.